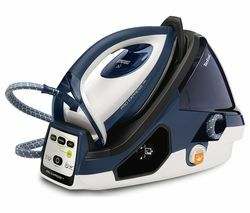 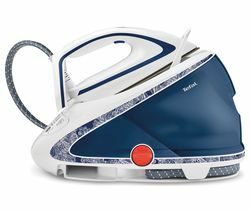 Top features:Â - Unique scale collecting technology collects 10x more scale than a traditional ironÂ - Scratch resistance and steam power with Durilium Airglide Autoclean soleplateÂ - Special steam boost removes creases from thick fabricsÂ - Technology creates the ideal combination of temperature and steamÂ Unique scale collecting technologyThe TefalÂ Pro Express Care High PressureÂ GV9060G0 Steam Generator IronÂ comes with an anti-scale solution to prevent limescale from clogging your iron and damaging your clothes. 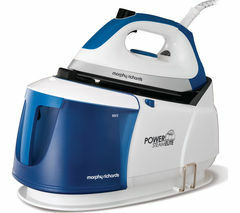 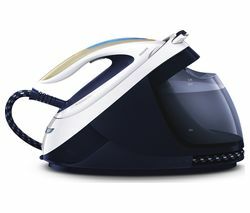 Your iron has long-lasting steam power and effortless crease removal, using a twist-in spoon that collects ten times more scale particles than a traditional iron, directly from the iron's extra-large removable water tank. 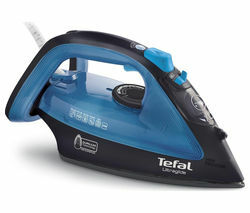 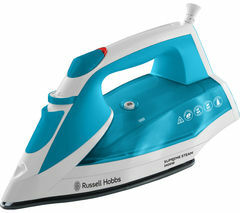 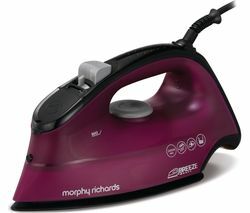 Simply pull out and empty the scale into the bin.Scratch resistance and steam powerActive holes at the tip, side and the centre gives this iron extra steam distribution when compared to similar irons. 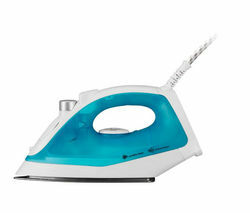 Durilium Airglide Autoclean soleplate technology gives you outstanding resistance-free glide over your clothes. 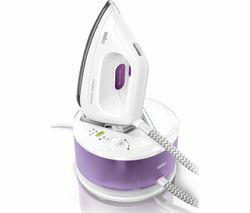 Enjoy fast and effortless ironing and excellent scratch resistance â?? 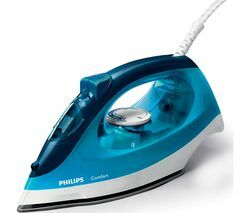 even when ironing harmful areas like zips. 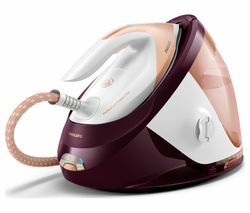 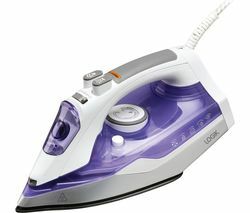 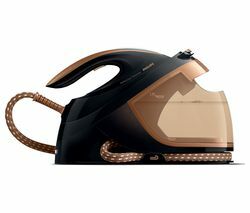 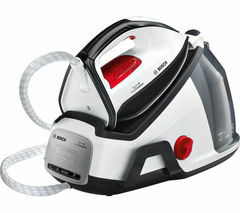 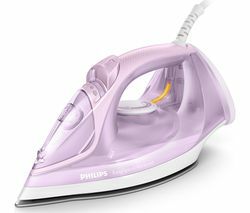 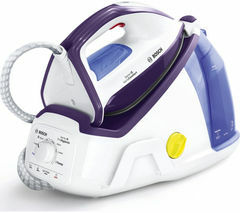 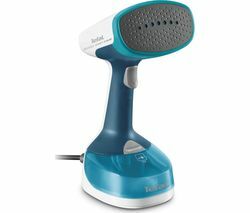 Self-cleaning, the soleplate helps you to keep your iron, and your clothes, stain free.Special steam boostIron easily through thick fabrics, such as curtains and jackets, thanks to this iron's ultra-powerful 220 g/min steam boost and super steam output. 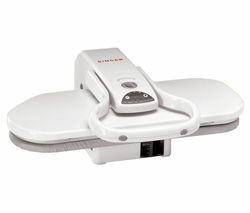 It allows you to efficiently and effortlessly remove unwanted creases, with savings to your time and energy. 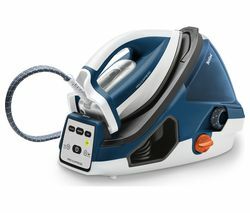 Spiral protect technology keeps your clothes extra clean using an integrated turbine that turns dirty droplets into steam, leaving no stains on your garments.Technology creates the ideal combinationThe iron provides optimum ironing for your clothes at the touch of a button via ultra-precise controls connected to the iron's internal software. 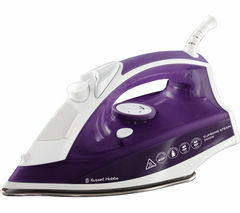 Monitoring steam output and temperature, you'll get the perfect combination for all types of fabric.Keep your steam iron in perfect working order with a descaling solution, or why not brighten up your chores with an ironing board cover from our range?